HIGH PERFORMANCE PAINTBALL! Serving the Kansas City metro area with the best paintball fields and products! Monday - Friday: Group size & time restrictions apply. Deposit Required! 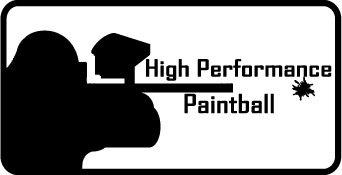 High Performance Paintball has been open since October 2006. Since opening, we have taken pride in providing the Kansas City area with one of the best paintball fields. Our field is one of five in the nation that is located in a city park. We are in Harrisonville, MO City Park. The park offers a great area for families, friends, church groups, birthday parties, corporate groups, and many others to enjoy the wonderful outside air. High Performance Paintball enjoys offering its customers the opportunity to enjoy the outside air while playing across 10+ acres and 3 varying paintball fields and terrain. Group outings are a must at High Performance Paintball. Individuals not wishing to try out paintball may watch the others play. High Performance Paintball wishes to offer customers the ability to expedite the check-in process. Click the button to find the waivers online. Simply print and fill out the provided waiver and bring it in when you come to play. High Performance Paintball is also on Facebook, so head over there and LIKE US to stay up to date with the latest happenings at High Performance Paintball. If you are not familiar with our company and your first contact with us is online. We would love to hear from you! Please let us know what your needs and questions are; we will be more than happy to help. If you would like to contact High Performance Paintball for more information or to book your group outing, you can call us at (816)-868-5675 or you can email us at info@highperformancepaintball.net. You can also use our contact form here.